Dances are generally the 2nd, 4th, & 5th Fridays, plus occasional other events. 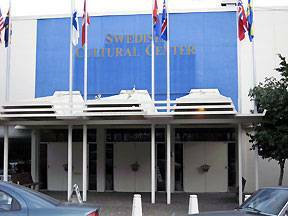 Regular Friday dances are held at the Swedish Cultural Center (SCC), unless otherwise noted in the schedule below. Occasionally dances are held at St. Andrew's Episcopal Church, 111 NE 80th St, Seattle, WA 98115.